Are You Ready for Season 5 Premiere?! Posted by Aimee J. September 10th, 2014 | Comments Off on Are You Ready for Season 5 Premiere?! 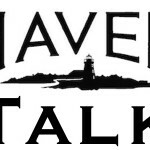 Summary: Amy and I talk some Haven news just before the premiere. #12DaysOfHaven – Day 1 (Last Day 9/10/14) – Winners will be announced via Twitter and on the contest widgets on this page. Wear your Haven gear on premiere day and share it with us via Twitter or Instagram!! 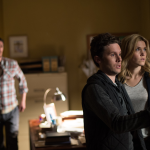 Use the #Haven5 hashtag. This entry was posted in Podcast, Season 5 and tagged Tagged: haven news, podcast, season 5 premiere on Wednesday, September 10th, 2014 .